Gone are the days when the swimming pool was a separate, stand-alone backyard feature. 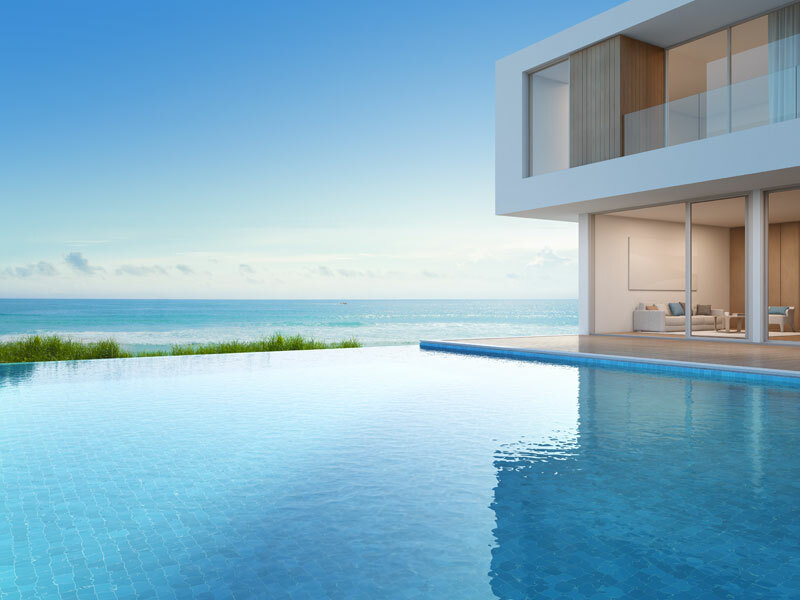 Today’s swimming pools seek to make the most of both the outdoors as well as the indoors and are built to capitalise on outlook and view, existing home structure and entertaining areas. Homeowners today demand a swimming pool that is distinctive and integrated with the outdoor entertaining area; one that provides functionality, year-round usability and a definitive link to existing elements of the home. While swimming pools of yesteryear seem as though they were something of an afterthought and set away from the home, today’s swimming pools take centre stage. Homes are increasingly designed around the swimming pool rather than the swimming pool around the home. But if your current pool is set away from the home there’s no need to move it or the house. If you’re looking to make your existing swimming pool more functional and user friendly, there are a few ways to give it a modern feel and ensure it is integrated with the home and any adjoining outdoor entertaining areas. Cabanas are relatively inexpensive these days yet pack in a whole lot of value to your home. Set near the pool, a cabana can provide a space for family and guests to shower or go to the bathroom and change into their bathers, or somewhere to prepare and store food and drinks without returning to the house. It can also house a shady area for guests to lounge by the pool. A cabana can double as a guest room or teenager’s retreat. Outdoor kitchens have become tres trendy. The perfect way to bring the indoors out and extend your poolside entertaining area. Most come complete with barbecue, fridge, sink, bench space and even a fireplace to ensure it can be used year round. An increasing trend is the addition of a wet or sunken bar alongside the swimming pool. Fitted out with comfy lounges, bar area and tables it is the perfect place to entertain poolside. For more ideas on how to integrate your swimming pool with your home contact Blue Haven Pools on 13 0 25.